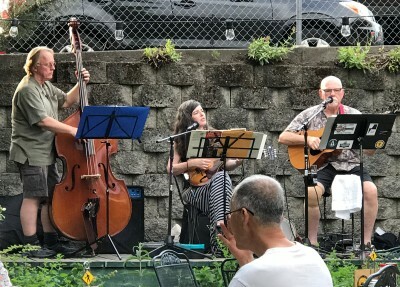 A uniquely talented group of musicians all living in the Columbia River Gorge! 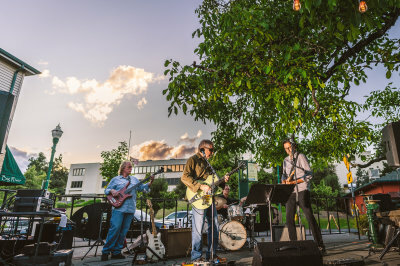 This group has actually been around for many years with different personelle, with Joe Schlick and Dennis Morgan being the driving force behind the music. Influences form many genres including rock, blues, jazz, reggae, folk have contributed to a well crafted collection of originals. 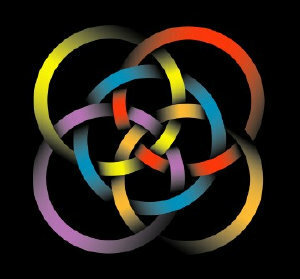 ​Recently, Mike Grodner (drums) and myself have joined the ensemble adding yet more diversity to the sound. Click here to visit Mike's web page and hear some Dodds! 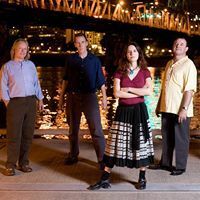 Stringed Migration is a Portland, OR, based quartet that performs a lush synthesis of Celtic and international roots music with hints of jazz. 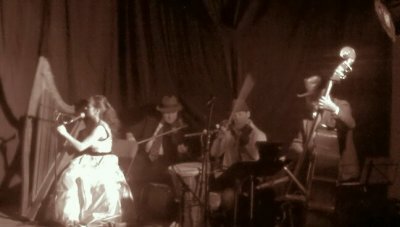 Comprised of four multi-instrumentalists whose individual careers have garnered regional, national and international recognition, Stringed Migration is enjoying a rapidly growing reputation in the Northwest folk world. 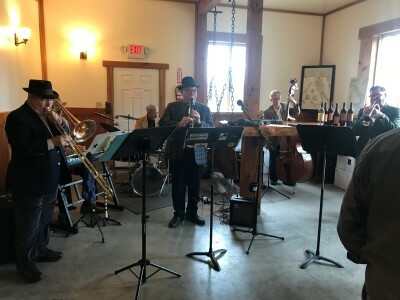 The band features a cast of musicians whose diverse backgrounds touch upon Latin music, Balkan music, Americana, rock, Mediæval music, classical Indian music, Western classical music, and jazz, yet all have deep roots in traditional Irish and Scottish fare. 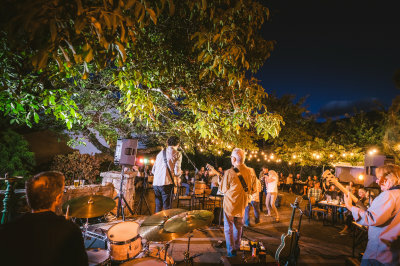 “The idea,” says founder Elizabeth Nicholson, “is to allow everyone in the band to draw from the full spectrum of their experience, rather than conforming to a rigidly defined idiom.” The resulting sound pays true homage to the American melting pot, revealing technical mastery, nuance, spontaneity and heart. F Scott Fedora plays traditional New Orleans jazz. 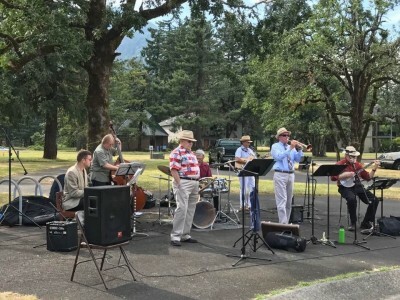 Also a Stevenson WA ensemble, the band has been around for years playing at wineries, weddings and other functions that want up tempo fun music to dance and listen to! Prolific songwriter Thom Dudley has performed for years in the Portland OR area. A standing weekly gig on Thursdays at the Highland Stillhouse has been immensely popular. When playing as a trio with Eddie Parente and myself, Bailey Bridge is the name. A mix of original songs, Celtic instrumentals and ballads make for a great evening of listening. 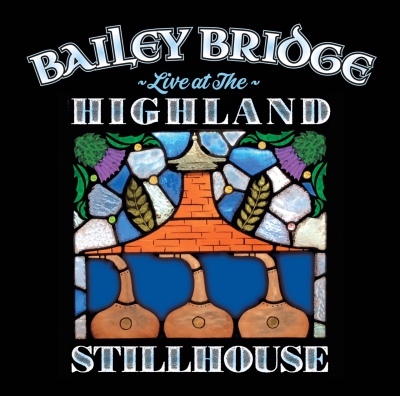 The pic is the cover of our live CD at the Highland Stillhouse! Bill Shelton (also in F Scott Fedora) plays Americana, folk and the odd rock & roll surprise. Seen here with Rebecca Stryder and myself at Walking Man Brew Pub in Stevenson.